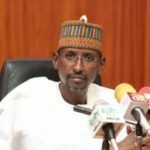 The Federal Capital Territory (FCT) is to spend about N162 billion for its five-year Strategic Health Development Plan (SHDP), the minister of the territory has said. Malam Muhammad Bello disclosed this at the launch of the FCT SHDP II on Tuesday in Abuja. The minister, who was represented by the Secretary, Health and Human Services Secretariat, Malam Adamu Bappah, said the FCT SHDP was approved in August 2017. He added that it was endorsed by the Federal Executive Council in September 2018 and was launched by President Muhammadu Buhari in January. “The FCT has continued to record giant strides in immunisation, especially the yellow fever coverage at 96.6 per cent. “Thirteen primary health care clinics have been constructed and ten solar-powered boreholes provided among others. “Furthermore, healthcare service provision has commended from the Karu and Zuba General Hospitals; 19 primary and secondary health facilities across the six FCT Area Councils have been upgraded and rehabilitated. “Also the FCT came first among the six implementing states for November 2018 mass vaccination campaign,’’ the FCT minister said. Bello assured that the administration was committed to providing effective health care services. He called on stakeholders to use the framework to adequately harness the policy gaps and programme interventions required to improve the performance of the health sector towards quality delivery. In her goodwill message, Dr Furaira Zakari, FCT Representative for the World Health Organisation (WHO), said that the SHDP was in line with the UN policy on healthcare in Nigeria. Zakari said that it also aligned with global productivity, and assured that the WHO would gladly support the targeted goals and ensure they are achieved. Dr Ismail Galadima, the FCT Representative for UNICEF, expressed commitment to work with the FCT to make sure that targets are met for proper delivery. Alhaji Adamu Yunusa, Chairman, FCT Council of Traditional Rulers, implored the health sector to implement the newly launched plan for the benefit of residents. 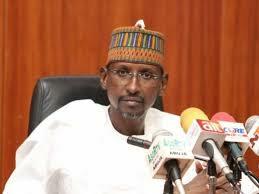 “I urge the FCT to implement the SHDP so that my own people in the FCT will benefit from the gesture,’’ Yunusa said. Stakeholders within the FCT such as Save One Million Lives (SOML), Health Policy Plus and ALGON were also present at the event.